The CCD behind the lens of your digital SLR camera is sensitive to ultra violet (UV) rays. A lens filter can be used to enhance the image or help eliminate unwanted effects. A filter can also protect your valuable lens from dirt, dust and scratches. Skylight and 0 Haze filters are designed to help remove UV rays and will help eliminate the lack of sharpness caused by this type of light. The Skylight filter will also help to warm the image slightly. The Polarising filter or polariser can be used to remove non metallic reflections from shiny surfaces and enhance contrast. 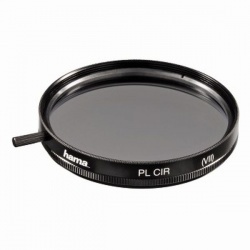 Lens filters are available in sizes 49mm-77mm from brands such as Hama, Cokin & Hoya, including the high specification Hoya Pro 1 Digital Filters.